Over the past 20 years Bexley has risen from being almost the lowest taxed borough in London to almost the highest. The present Conservatives constant boast that the 2009 increase of 2% is the best achievement for years masks their fundamental dishonesty. 2% may have been the lowest for a long time but it was still close to being the highest tax hike in London. I choose to pay the tax in ten monthly installments and do so by old fashioned standing order. To happily pay by Direct Debit requires trust in the collector and although I pay most bills that way (Thames Water being the other exception for the same reason) I will not make the switch from standing order for Bexley council. After 20 odd years paying Bexley by S.O., in May 2007 the second payment scheduled for the 3rd of the month didnt go through. On the 24th I received an extraordinarily rude letter from Bexley council giving me two days to pay before they took the case to court. You would think their system would recognise that the likelihood was that after 20 years of dead-on-time payments that something had gone wrong with the system or that I had died or something. But no, this is the uncaring, thoughtless and too often dishonest Bexley council so expect no respect for residents. The letter did actually give seven days notice of prosecution but it was postmarked five days after the date on the letter. I paid the bill by debit card on the councils website the same day and as you might guess, the very next day my standing order went through too. Off went an email to Nick Johnson the Chief Executive at the time. 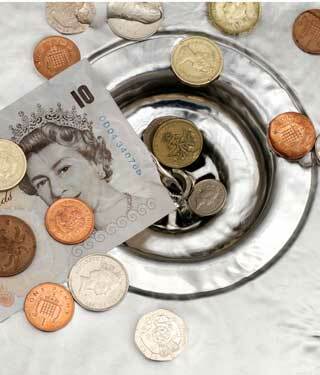 Thank you for your email to the Chief Executive with regard to payments to Bexley Council. The contents of your email have been noted. Another useless non-answer from a C.E. paid nearly ten times the average wage. It probably doesnt help that Bexley has contracted out tax collection to the company widely known, and with good reason, as Crapita. You can judge for yourself how evil Bexley council can be by reading this page. The tone is appalling. Is it really necessary to address residents that way? Presumably someone at Bexley council has read this page and belatedly come to the conclusion their wording was less than friendly; by November 2009 the page had been totally rewritten.